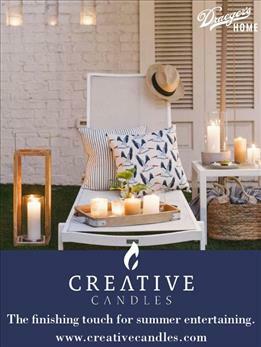 Firing up the grill and cooking outdoors is one of the best ways to celebrate summer. Meals are deliciously prepared with a minimum of effort (and the kitchen stays cool) when you let the grill do the work. Tried-and true hamburgers, sausages, ribs, chicken and steaks will always be the foundation of a great grilled meal, but consider building on these fundamentals with a few new flavors and expand the possibilities in your grilling repertoire. Vegetables grill quickly and easily, either on skewers or in a grilling basket. 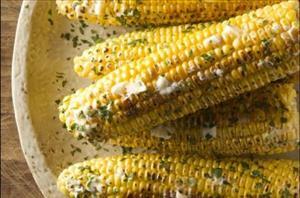 Corn can be grilled with the husk still on, enrobing perfectly cooked, flavorful kernels. Fruits such as pineapple and stone fruit are transformed to a greater intensity of flavor and sweetness while texture and juiciness remain intact. Grilling amplifies fresh flavors and adds greater dimension to already delicious seasonal produce. 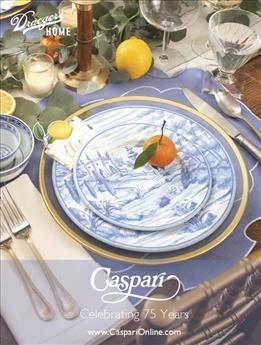 Exploring the world of grilled vegetables and fruits is sure to reward you with new favorites. Preheat grill to medium-high. Rub pineapple slices with oil, ½ teaspoon salt and ancho chili powder. Grill for 1 minute on each side, or until marked on each side. Chop all around core and discard core. 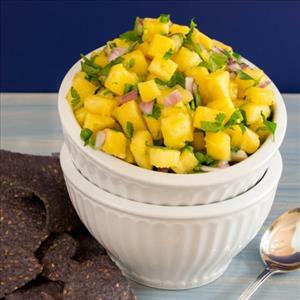 Combine chopped pineapple and remaining ingredients together for 30 minutes before serving with tortilla chips. Recipe courtesy of Tommy Vargas. Preheat a grill to medium heat. Halve the fruits and remove the pits. Brush the halved fruits with butter on all sides. 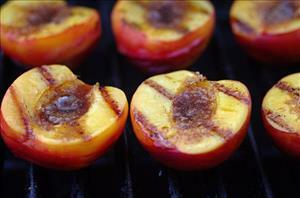 Place fruits cut-side down on the grill and cook until dark grill marks appear, approximately 3-4 minutes. Remove from heat and serve with ice cream and mint. Recipes courtesy of Draeger's Cooking School. Combine butter, lime zest, salt and cayenne in a bowl and stir to thoroughly combine. Form into a 1-inch-diameter log and roll in parchment or waxed paper. Chill until firm. Preheat a grill to medium. Remove any loose layers of corn husk, leaving a few layers intact. Arrange the corn on the grill and turn frequently, until the outside is fairly charred looking, approximately 5-10 minutes. Remove from heat and allow to cool until you can handle. Cut the stem end and peel away the husk and silk, which should remove easily. Serve with slices of chili-lime butter. Extra butter can be used on grilled meat or melted for popcorn. © Copyright Draeger's Cooking School. All rights reserved. Recipes courtesy of Draeger's Cooking School.